Find out how bookmakers weight the odds in their favour to ensure they nearly always win. And why gamblers are near certain to lose. Despite all the excitement and raised hopes. Gamblers tend to lose money, but the bookmakers who take the bets almost always win. Dr Jack Cohen University of Warwick, UK – "The very fact that the bookies are making money means that on average, the bookies are winning." Investigating the odds in horse racing reveals why the bookies are likely to win, while gamblers lose. Odds are a way of indicating the expected frequency of an event. They are expressed as a ratio of the number of failed outcomes to desired outcomes. Odds of four to one mean that if a race is run five times, the horse is likely to fail to win four times and win once. 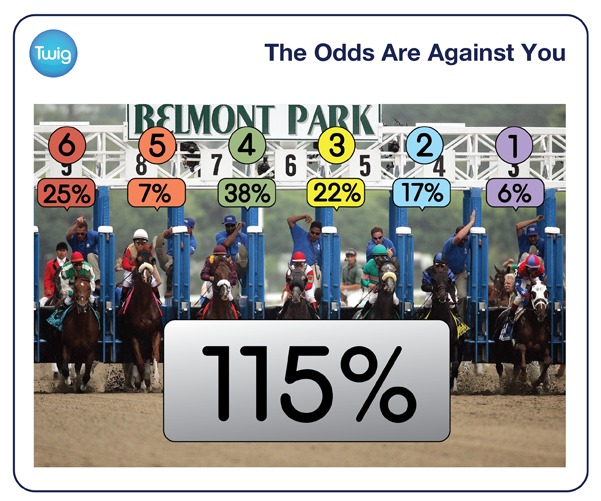 Odds are most often shown as fractions. But they can be turned into percentages, by dividing one by the sum of the numerator and denominator, and multiplying by 100. And with the odds as percentages it becomes clear why the bookmakers have an advantage. 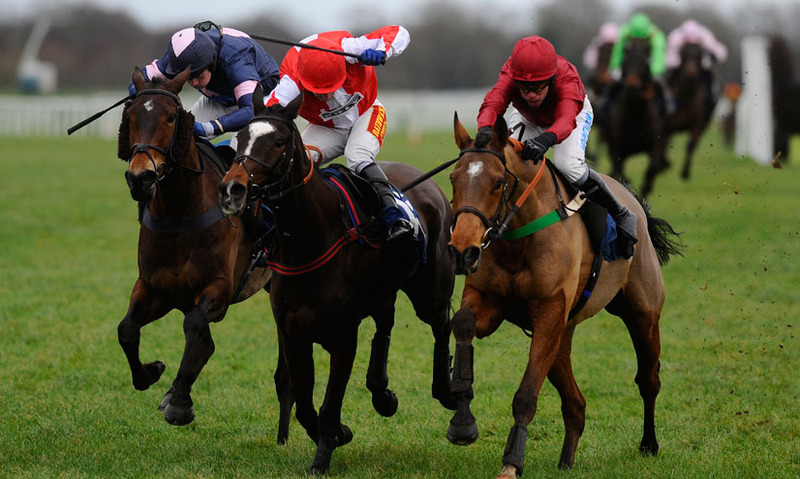 The bookies play on a race's expected return. In a fair race the sum of the probabilities for all outcomes would add up to 100%. But in reality, the bookmakers set the odds so that the percentage odds add to over 100%. The extra percentage is called 'overround' and weights the race in the bookies' favour. The higher the overround, the more the odds are against the gambler and the more the bookmaker can expect to win. Prof Ian Stewart University of Warwick, UK – "If the odds are against you by however little, if you've got a 50.00001% chance of losing, just very slightly, the more you bet, the more likely you are in the long run to lose. And the more you keep betting, the more this slight chance against you amplifies and amplifies. Sure you'll have the odd win, and if you've got any sense you would stop at that point, but if you keep going, you'll lose."